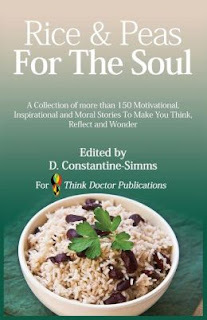 Today we are interviewing Delroy Constantine-Simms about his collection of motivational/inspirational stories called "Rice & Peas For The Soul," published by Think Doctor Publications. Tell us a bit about Think Doctor Publications. Think Doctor Publications started out as a one man organization printing t shirts and small post cards in mainly African-Caribbean outlets in London during the 1999’s after an very long sabbatical from the trade, I restarted the business through www.zazzle.com/thinkdoctor which sells my products world wide. Describe “Rice and Peas for the Soul” in a few sentences. Rice and Peas for the Soul; is an edited collection of more than 150 thought provoking, motivational, inspirational empowering stories of hope, faith and courage. These story based ingredients have been selected due to their positive underlying messages, which encourage readers to think, reflect and wonder about life in general. What inspired the idea to publish a collection of thought provoking, motivational, inspiring, and empowering stories? I have always been interested in publishing, writing and editing, but did not know how the process let alone where to start. I was born and brought up in the pre internet and pre digital publishing age. So my dreams of publishing remained just that a dream. I guess going to University helped me understand the rules of writing. It’s also important to add that the greatest and only motivational book on the market I have heard prior to my own book was the Bible, which is a great book but it was not the type of book that I wanted to reproduce. I first thought about this book project, after meeting Muhammad Ali in my home town of Wolverhampton in 1983 Ali was visiting the West Midlands (UK) as part of speaking tour and to visit loyal fans. Without doubt he was an inspiration on so many levels form he still is, but I was slow to act on that injection of inspiration, that didn’t really last. I had no real guidance or direction, let alone know how so the idea died, like so many other dreams I had at the time. However, my dream was re-awakened when I met Nelson Mandela in Bloemfontein South Africa in (1992) while I was on holiday with friends who invited me over for a visit during the height of Apartheid. I was lucky enough to meet him in Bloemfontein where he gave his first major speech after being released from prison. I was fortunate enough to meet BBC Journalist John Harrison (RIP) whom I followed to where Mandela was posing for photos and took the opportunity to shake his hand, a moment I will never forget. 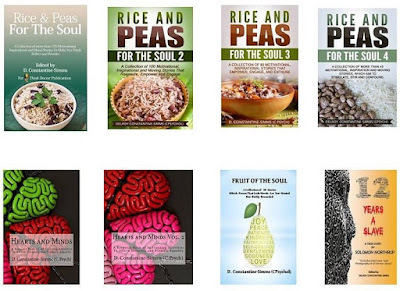 Is “Rice and Peas for the Soul” similar to any other books out currently? My books follow the tradition of the "Chicken Soup for the Soul." What do you think is the value of the short story, compared to longer formats, such as the novel? The stories were chosen to accommodate the bite size mentality of readers that do not want to spend hours reading one book with one message. My book has several message conveyed in several stories, thus allowing readers to pick and choose which ones they like. Most importantly, they don’t have to go from one chapter to another in order to follow a story line or the underlying messages. How do you hope readers react to the book? I’ve been quietly surprised by the public response to this book. I had hoped that the book would do well, but I am hoping this book and the follow ups to this book Rice and Peas 2-4, which will be out later this year, will be as popular and even better received than other more established books in this genre. I am hoping that the selected stories will continue to encourage readers, irrespective of cultural background to think, reflect and wonder about their own lives in terms of their trials, tribulations and how they have coped and weathered those difficult situations, by way of reading this book, or at least as a consequence of reading at least one story. My next project is related to a diversity and equality training project called Changing Hearts & Minds: Diversity and Equality Training which is a training manual being designed to promote and affirm diversity and equality. Think Doctor Publications will be doing a series of book launches in Toronto, Dubai, New York and Jamaica during the latter part of 2015. D. Constantine-Simms is an occupational psychologist, counselling Psychologist and a qualified Therapeutic career coach. He also works as freelance print and photojournalist, whose work is regularly submitted and distributed by photo agencies such as Corbis Images and Demotix. His articles and images have appeared in British and international publications such as the Word (Canada) The Big Issue, The Guardian, The Voice Newspaper, Miami Times, and many other publications. Constantine-Simms has previously edited the following books, Teachers for the Future (1995) The Greatest Taboo: Homosexuality in Black Communities (2001) Hip Hop Had a Dream: Vol. 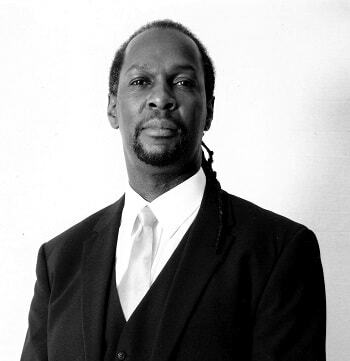 1 the Artful Movement (2008) Constantine-Simms is the recipient of the 2001 Lambda Award for Best Anthology: The Greatest Taboo: Homosexuality in Black Communities (2001).